Mind the Capri body is on the short TT02 wheelbase (252mm) and will not fit a TA02 without TA01 arms and lowering.. Very nice, how did it look when it was finished? Gripper107 wrote: Very nice, how did it look when it was finished? Sadly no progress since last picture. Fantastic, I'll pick one up. Can I get away with painting it with standard spray paints or will I need to use the tamiya spray paints? 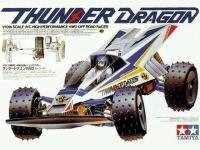 Gripper107 wrote: Can I get away with painting it with standard spray paints or will I need to use the tamiya spray paints? You need lexan (polycarbonate) paint as these bonds to the lexan. Normal paint will flake off with minimal effort. There are many brands out there that have polycarbonate in their selection, so hunting paint should not be difficult at all. Hey thanks, I've got a ton of spray paints but none are for rc body Shells, I won't chance using them if they won't stick properly. I'll have to hunt some down online as nowhere around where I live sells them anymore. Anyone tried ps46? It looks pretty fancy.